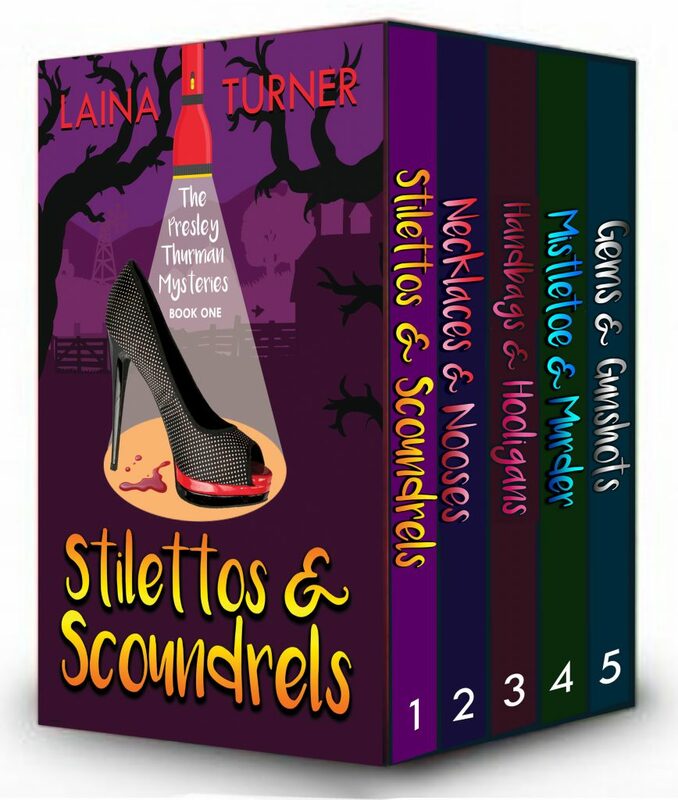 In this 2nd box set you get Presley Thurman Cozy Mysteries 5-10 all in one great bundle! Presley wins a bet with Cooper and thinks she finally is going to get her chance to work with him. She knows she’s got the potential to be a good security detail for his company. She’s miffed when she finds out her first assignment is to protect a bunch of self-absorbed beauty queens at a Texas pageant she had ben hoping for something a little more exciting. It soon becomes a more interesting gig than she thought when one of the beauty queens turns up dead. The fierce competition leaving the door wide open to suspects. Can Presley find the killer before anyone else turns up dead? Cooper surprised Presley with a trip to an all-inclusive resort in Cabo San Lucas for Valentine’s Day. She couldn’t have been happier to think of a long week of fun and sun with her man. No work and all play was all that was on her mind until well-renowned Mexican soap opera star, Lucia Vegas, turned up dead in the hotel pool where they were staying. It was no accident; it was murder, and Presley couldn’t help but wonder what had happened. Then she met reporter, Belinda, who told her the theory she had that Lucia was just one of a string of murders targeting young actresses but no one would listen. Vacation or not, Presley couldn’t stand by and take the chance another young actress would be killed! Can her and Belinda find out who’s behind these murders in time before anyone else turns up dead? Presley goes back home to help best friend Katy plan for her wedding to Chris even though Presley thinks Katy is making a huge mistake. But wedding plans are dampened when realtor, Bethany Granville, is found dead in Katy’s salon and Katy didn’t even know Bethany. Ever curious Presley wants to solve the murder but as usual things aren’t that simple and grow even more complicated when ex-friend Dirt, who was in jail for murder escapes. Is he coming after the people who helped put him there? And how did Katy’s fiancé know Bethany? Presley just hopes finding the answers won’t hurt Katy. The bookkeeper at Jared’s company has been murdered. If that wasn’t bad enough someone is also trying to sabotage the company by leaking company documents to other firms who are then upstaging their presentations. This is causing the company to lose accounts, loose money, and could possibly force them to close their doors. Jared asks for her help to find out who is trying to take Sleeping Bear Designs down and Presley is more than happy to help. While Presley is always willing to help a friend, she is also hoping it will take her mind off obsessing over Cooper. They’ve been on a break or are they broken up? It was never clarified, and she just found out he’s in town and he hasn’t called. Is he avoiding her? What does that mean? Are they done for good? Grabbing the wonderful opportunity to buy the now failing retail boutique, Silk, which she used to work at Presley thinks she finally about to embark on her new career. This is her chance to make her mark on the world. The excitement is short lived when on the first day of business ownership store manager, Roxanne, is arrested for murdering her boyfriend. Roxanne insists she’s innocent and asks for Presley’s help. Presley believes her and tries to help all while getting the boutique up and running. Things there aren’t going to smoothly as Presley finds out someone has been ordering merchandise using company funds, but none of it can be found in the store. Who is stealing from Silk? Did she make a mistake in taking this on? And what’s the real story with Roxanne? Has Presley been too trusting? Purchase this complete box set here!